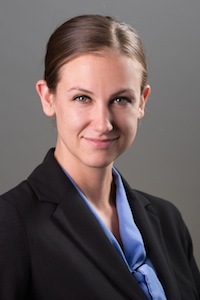 Attorney Julie Gaudreau is an associate attorney at DelSignore Law. She has worked at the firm for a number of years. Her practice areas include OUI Defense, criminal defense, domestic assault and battery matters, drug crimes, and clerk magistrate hearings. Additionally, Attorney Gaudreau often handles matters before the RMV and Board of Appeals. Attorney Julie Gaudreau attended Curry College in Milton where she received a Bachelor’s of science in Criminal Justice. From there, she went on to Suffolk University Law School in Boston. While studying law at Suffolk, she received the award for Distinguished Oral Advocate and was on the Dean’s list each semester. Attorney Gaudreau is a member of the National College of DUI Defense. Julie has lived in Plymouth, Massachusetts for over 20 years. In her downtime, she enjoys talking walks on Plymouth long beach, playing tennis, and playing softball. On the weekends, Julie and her son Brett enjoy visiting the local book store together. 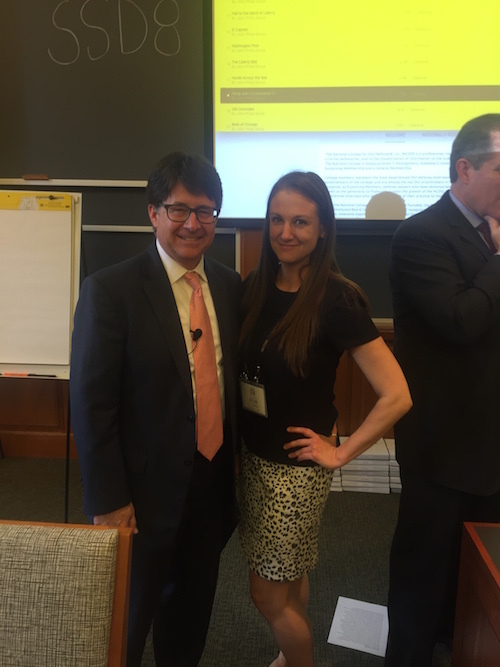 Attorney Julie Gaudreau with Dean Strang and Jerry Buting at the National DUI College Summer Session from Making of a Murder. 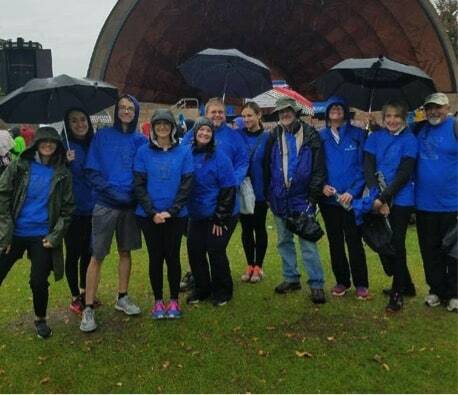 Attorney Julie Gaudreau participates in the Diabetes walk in Boston every year for her son Brett. It is a cause she holds close to her heart and something she looks forward to participating in. All fundraising efforts from the walk is used for Type I diabetes research. 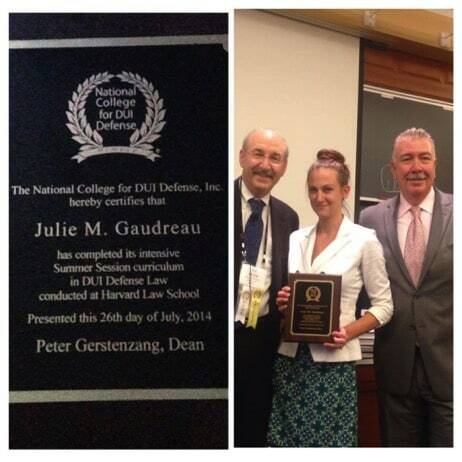 Attorney Julie Gaudreau attended the DUI Defense Law course at Harvard Law School in 2014. In this case, the Massachusetts State Police alleged that the client had slurred speech, glassy eyes, and took a breath test that yielded a result of .08. At trial, Attorney Gaudreau argued that the breath test results were not accurate enough to conclude that the defendant was over the legal limit given the margin of error of the machine itself. 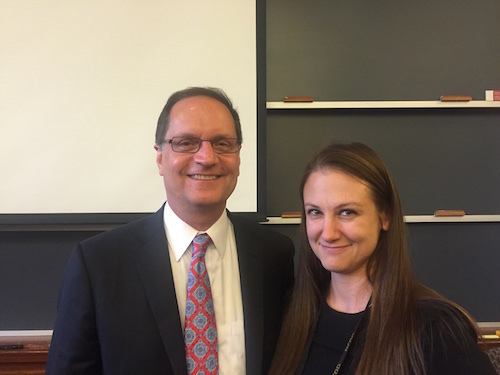 After trial, the client was found not guilty. In this case, the Hudson police alleged the client made marked lane violations, and arrested the defendant for OUI after allegedly failing a number of field sobriety tests. Attorney Gaudreau was able to file motions prior to trial which ultimately had the breath test (a breath test result of .12) excluded from evidence. At trial, Attorney Gaudreau contested the officer’s opinion that the defendant was impaired and created a conflict in the testimony of the officers presented as witnesses. After a jury trial, the defendant was found not guilty! Contact Attorney Julie Gaudreau today! Attorney Gaudreau offers free, over the phone, confidential consultations. She would be happy to discuss your case with you today. Contact Julie today.